Oh…. hai! 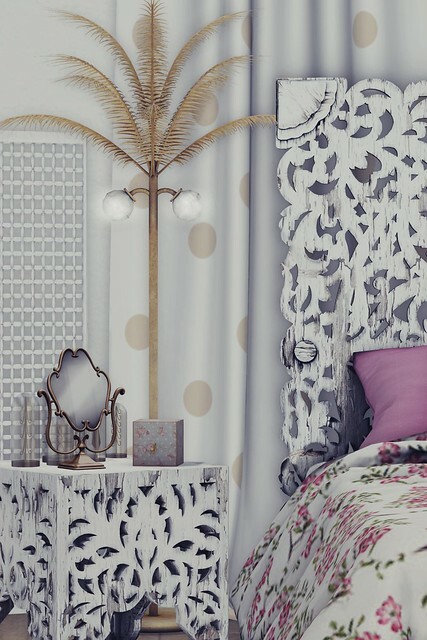 I did not forget about this blog, I just hadn’t gotten around to blogging some decor sets. And I totally wasn’t aware I hadn’t blogged since May here. Time sure flies when you’re having fun (elsewhere) eh? But anyhoodles! Decor stuff is what we are here for, right? Before the new year started, I decided to clean out my ‘furniture to sort’ folder. In there I found some gems that I threw together in this post. 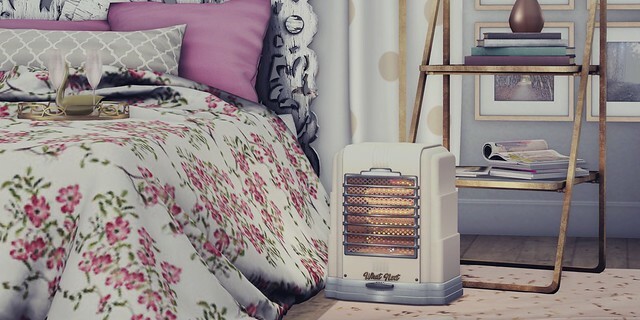 This Faith’s bed and Blossom’s lamp (both from Kalopsia) just created a vibe that I absolutely love! Along with some pink bedding, I knew I had to build a little set around them. By throwing in What next’s space heater for today’s 50L friday, I added some much needed warmth. So uh, here are pictures. metal frame bed – brocante. For the first time in quite a while, I actualy decorated a complete house (well skybox, but let’s be excited here anyways okay)! I am really happy with how everything turned out and hope my pictures do it a bit of justice. And yes, I KNOW it has a Christmas tree, but around here it’s okay to keep the tree up until January 6 so there is still some time to post this. Because it’s rather picture heavy, I’m spreading the pictures over two blog posts.